Having worked in the cloud and managed services space before joining Veeam, and now working directly with our own VCSP partners, I understand the challenges that come with providing a managed backup service to customers. Having one platform that encompasses the ability to provide visibility, management and automation as well as self-service is something that most service providers, whether they offer a full managed offering or provide IaaS desire. When it comes to customers using Veeam Backup & Replication for business-critical backup and data availability services whether it be a single site or across multiple sites, having a centralized system to log into and get an overview of the current state of their backups while being able to action jobs and report on is something also desired. For cloud and managed service providers that operate a channel or reseller program, allocating access and allowing granular control to their own partners who in turn can manage their own customers is something that is invaluable and also something that has been requested for a long time. When Veeam first released the Managed Backup Portal as a hosted offering on Azure for our partners back in 2016, the problem that was being solved was around the management and visibility of on-premises customer Veeam Backup & Replication installations. As mentioned above, one of the biggest issues any managed service provider has is the ability to have a single console to gather information and manage client services. The Managed Backup Portal was Veeam’s way to dip our toes in the water and begin to understand what our VCSP partners really wanted from a central management and monitoring platform. When Veeam Availability Console v2 was released as the successor to the Managed Backup Portal Veeam added core functionality around Veeam Agent for Microsoft Windows deployment and management as well as enhancing the monitoring of remote customer Backup & Replication servers. When Update 1 for v2 was released last year the platform had evolved further with added features and enhancements around visibility for Linux Agents and new granular user roles… however there were still key features that our VCSP partners were after. With the release of Veeam Availability Console v3, we have taken huge strides in delivering to VCSP partners a console that acts as the central place to manage all aspects of their backup offerings. Not only does it build on the previous releases, but also looks to place VAC as a critical component of any Veeam-powered service provider offering. This release also delivers full support for all recently shipping Veeam products including Veeam Backup & Replication 9.5 Update 4 (Including Cloud Connect enhancements and vCloud Director support and integration) as well as Veeam Agent for Microsoft Windows 3.0 and the new ability to create multiple jobs. There are also enhancements to support, Windows Event Logging and notifications while also increasing security. The new reseller role allows providers that have partners or that are running channel programs to offer their partners access to an out-of-the-box console. This console, that can be rebranded for each reseller, has pre-built functionality that allows the reseller to manage customers as well as taking advantage of the new features shipped with v3. Resellers maintain full visibility of their customers while still being able to control backup and replication jobs, deploy agents and perform aggregated license management and reporting. Granular roles and permissions allow for greater flexibility of customer management with the ability to now map resellers to Site Scopes, which is a new feature in v3 that sets the level of access and ties it to one or more Cloud Connect server installations. The new Usage Reports section provides enhanced reporting for on-premises Veeam Backup & Replication servers, Veeam Agents and for Veeam Cloud Connect services. Important for VCSP partners is the new Cloud Connect usage reporting which provides a detailed report of all Cloud Connect licenses and breaks it down on a per tenant level as well allowing for easier end of month billing and license reporting. License usage can be managed from the console (or via the RESTful API) which now offers the ability to install, delete or update the license key of the remote Backup & Replication servers, Cloud Connect servers, as well as force Auto Update of the license key for the selected server. Another significant enhancement is that VCSPs no longer require customers to enable the “Allow Remote Management” checkbox while configuring a service provider at the remote site to enable license reporting. Something which is significant for those cloud service providers who may not offer managed services. Previously, Veeam Availability Console had the ability to connect to only one Cloud Connect Server instance. This meant that VCSPs were required to pair one VAC instance to a Cloud Connect instance. Larger providers that have multiple zones had to deploy the Veeam Availability Console plus Cloud Connect paring in each zone. Based on internal lab testing, VAC v3 has the ability to add up to 50 Cloud Connect servers (number can vary depending on the infrastructure setup) under the one VAC server. 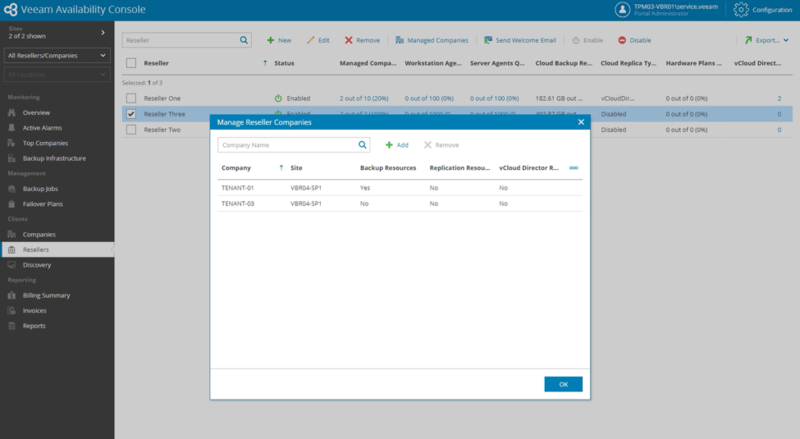 This adds the ability to see the entire Cloud Connect infrastructure from a single console while supporting the ability to scale-out a single instance of VAC to cover all tenants and services under management. Not only does it add the ability to expand locally, but now VCSP partners can have GEO locations as sites all managed under the same portal login. Automation through the RESTful API continues to be enhanced with a number of added API calls, expanding the existing set with greater ability around configuration, billing and backup management, while adding requests for customer and reseller management, license management, alarms and more. 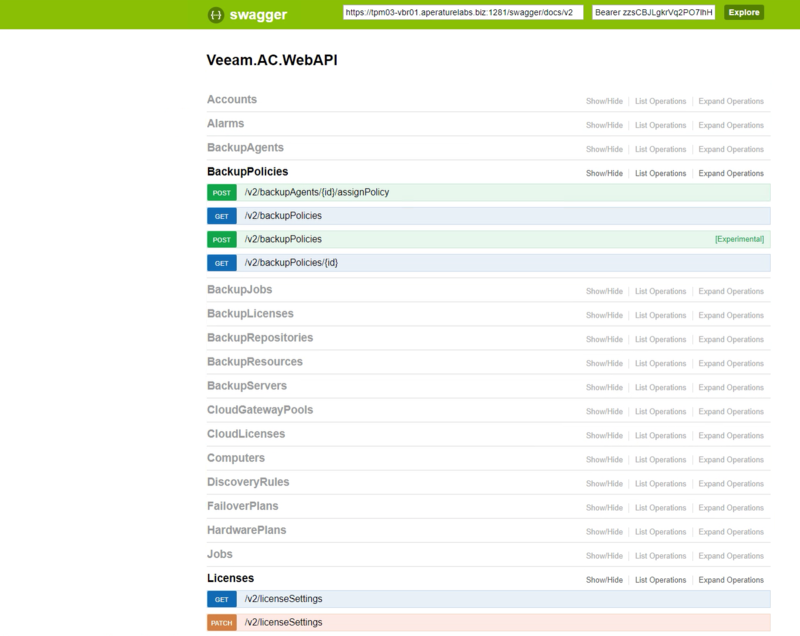 As with previous released of Veeam Availability Console , this is all easily consumable via the Swagger UI. Combining all this in a managed services platform ticks all the boxes for service providers offering managed backup services of all types and allows complete control, manageability, reporting as well as offering scalability of service. With the release of Veeam Availability Console v3, all Veeam Cloud & Service Providers should have this installed into their environments to act as the central mechanism for visibility, management and control as well as the source of truth for license management and reporting. 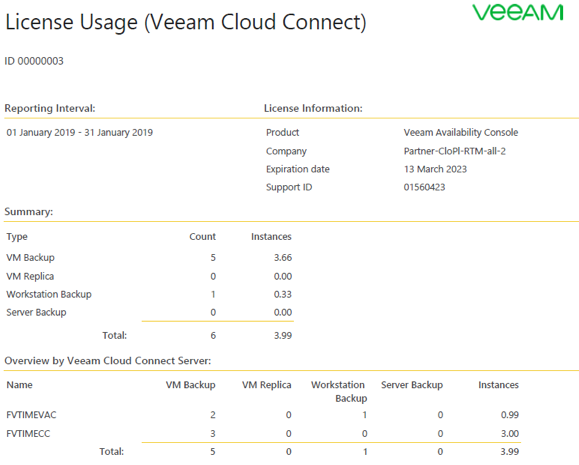 The post Centralized managed backup with Veeam Availability Console v3 appeared first on Veeam Software Official Blog. 7 Server Solutions All rights reserved.